Sheila Wallace joined the team at Spine Surgery Center of Eugene in September 2018 as Director of Nursing. Sheila has three decades of combined bedside nursing and leadership positions on her resume, including 8 years of Ambulatory Surgery Center management experience. She maintains the Certified Nurse in Operation Room (CNOR) certification, the industry standard of expertise for Registered Nurses in surgery. Sheila is passionate about providing optimal patient care and creating a connection with those she comes into contact with. She is often heard telling her patients, “We will do our best for you”, this statement is heartfelt each and every time. Sheila also enjoys the non-clinical side of her role and when not reviewing and creating facility policies to improve experiences for patients and staff she is often training for the next ‘event’. She has completed an Olympic triathlon and participated in many local 5k to half-marathon runs. She finds life balance through being active and outdoors while hiking, kayaking and cycling. She volunteers with wilderness improvement groups as much as possible. 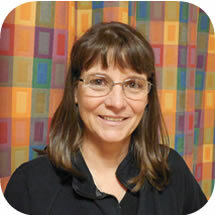 Sheila views her first responsibility as that of patient advocate and will put every effort into your care and comfort. She understands the often overwhelming prospect of having surgery and will help you overcome and understand how to achieve your goals. Secondly, she is responsible for the quality standards within the facility as well as staff satisfaction. She feels fortunate to have partnered with the highly skilled and talented team at Spine Surgery Center of Eugene.